In the corner of the library, just past the front desk, the enemy creeps around a dark bend as Thresh, the chain warden, ensnares him with a hook and harvests the enemy soul. Thresh has less than half a second to wrap his chain around a second enemy attempting to leap over him to safety. He does so, just barely. Conversation in the library buzzes. Students continue to work on computers. No one seems to notice the 10 champions battling minions and dragons through enemy territory to conquer the nexus, the power source in League of Legends (LoL). The game is played on a computer between two teams of five that fight each other to reach the other team’s nexus, located on either side of the jungle-filled battlefield. 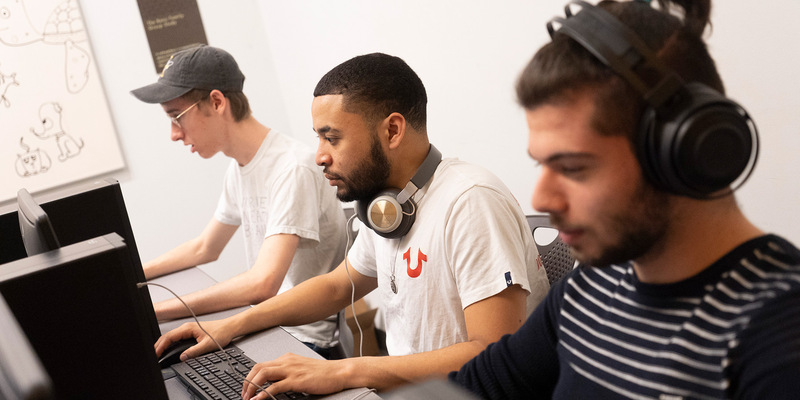 In the spring semester, Goucher created an esports team to compete in the Division III Landmark Conference, which is the first time esports has been part of the Landmark Conference. Juniata College, Elizabethtown College, Susquehanna University, Drew University, and Catholic University of America also brought esports teams into the conference. Some esports programs across the country have varsity teams, coaches, scholarships, and arenas for people to watch gamers play—just like basketball or football. League of Legends is a strategy-based game that requires clear and quick communication between team members. 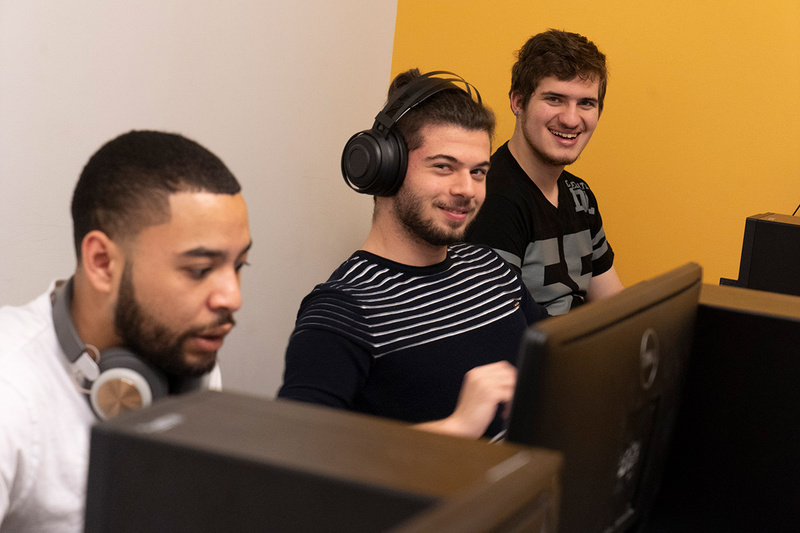 Goucher’s team, like most of the teams in the Landmark Conference, is considered a club sport and is based out of the Wellness Center, where Jen Macko, campus recreation coordinator, and Jean Perez, director of student wellness, helped make esports a reality. 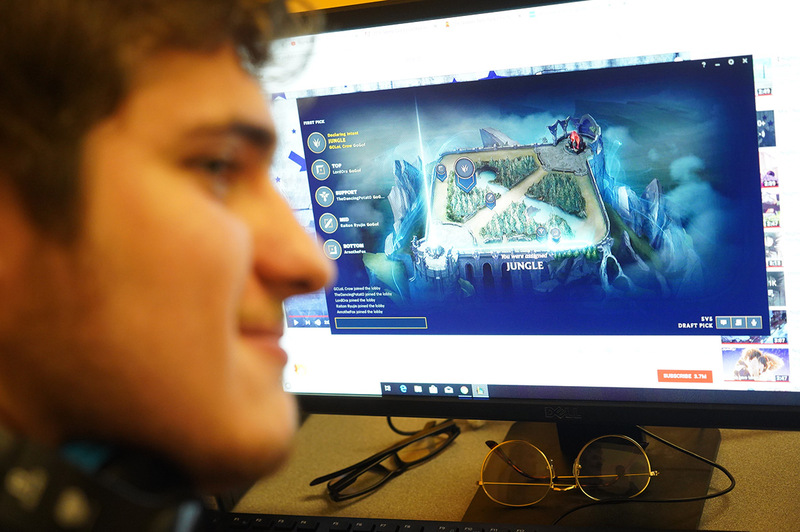 Zack Palmer ’21, co-founder of the League of Legends club at Goucher, considers this an accomplishment. What started as Palmer’s hunt for a set of computers resulted in esports and a dedicated LoL room in the library with 10 computers. Goucher has LoL and not some of the other equally popular video games because the LoL club members organized themselves and petitioned for their funds, Macko says. “That’s one of the tenets of a liberal arts institution, giving students the power to be their own proponent,” she adds. Palmer and his teammates hope esports will expand to include other games and attract more people. The gaming industry, as he points out, is much bigger than LoL. The worldwide audience for esports in 2018 was 395 million people, with 173 million of those identifying as frequent viewers/enthusiasts, according to Statista, a portal for market data and research. The market matches the popularity, with Statista reporting esports at a value of nearly $865 million for 2018, an amount expected to reach $1.79 billion by 2022. 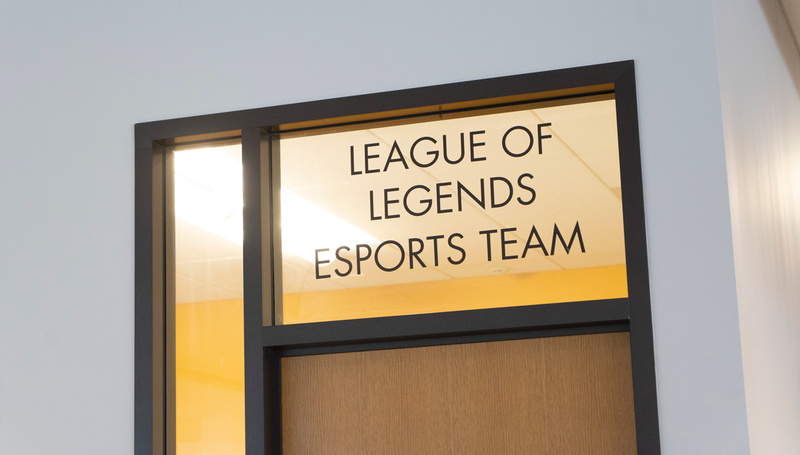 Now that esports is part of the Landmark Conference, Goucher dedicated a room in the library—complete with computers and a white noise machine—for the League of Legends team to practice. Gamers livestream their performance on platforms such as Twitch and also play live in arenas around the world that are designed to hold thousands of spectators. During the 2018 final round of the League of Legends World Championship, there were over 200 million viewers (on multiple platforms) from around the world and a prize pool more than $2 million, according to Esports Charts, which tracks gaming trends. “I don’t think people understand how much this game has grown. The World Championship is our Super Bowl,” says Tasos Tagtalenidis ’22. In 2018, 103 million people watched the Super Bowl on TV and streaming services, and even at its largest viewership of 114 million in 2015, the numbers don’t compare. Adam Jones ’20, Tasos Tagtalenidis, and League of Legends club founder Zack Palmer have become a close group of friends. LoL requires strategy, split-second decision-making, fast reflexes, and an ability to foresee your enemy’s, and your teammates’, next moves, Tagtalenidis says. Goucher’s team is struggling to work together as a team, he adds, because communicating their precise locations while describing their actions in less than a second is difficult to do. Playing together more frequently will help them innately know each other’s playing style and make them a formidable competitor. This past season, Goucher won one out of five games, but it’s not necessarily about whose players are better, Palmer says, but who can work best as a team. Building team bonds is essential for any sport, Macko says, not just for the game but also for the support and friendship that comes with it. (Photo at top): From left to right, Crockett Macnie, Adam Jones, and Tasos Tagtalenidis hone their League of Legends skills by practicing as a team.